Nile Jordan started in the music industry at the very tender age of 13 playing guitar in Sefton Youth Jazz Orchestra. He was noticed by a famous trumpeter named Digby Fairweather who gave him the honour of playing alongside him and his partner Stan Barker on the theatre circuit Northwest. 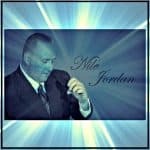 A few years back, after making contacts overseas in Northern Ontario, Nile Jordan travelled to Canada for 9 months touring with a company. He was able to meet and jam with the likes of Lone Star and Brian White, who performed with Shania Twain. Nile featured on a track called “Memories” by rap artist ‘Stock’ whose last song was featured in the movie ‘White Chicks’ and is a recent signing to Sony Urban.